Please share this across your social media networks and with others you know who may be interested. Many thanks to the 120 or so members and attendees who came along to Souths to hear from Professor Roy Green about some potential futures for the Port of Newcastle. There has been a number of stories in the press about the issues raised by Roy Green during his presentation at the Newcastle Institute and through the work done prior to this. Attendees at the event will recall that Roy responded to an audience question, saying that he would make his presentation available. True to his word, this has been done and you can see a copy of Roy’s presentation in pdf format by clicking here. You might also be interested to have a look at the video shown on the night that looked at the history of containerisation and why this is such an important adjunct to the growth of global trade. You can see the video below. There has now been a growing amount of press and questions about the circumstances surrounding the possibility of a container terminal in Newcastle. The links below will take you to some of the published pieces. This event will be coming up on Wed 9 May and we suggest that you ensure that you are subscribed to our main email list to gain updates about this and other events coming up. Use the links at the right to subscribe, and keep an eye on your inbox for news about this next event. We’re thrilled that we have assembled a group of women with significant insights to share. Don’t miss the chance to be part of our next event in our diverse 2018 program! As reported in The Guardian, on 18th December last year, the new chair of the Port of Newcastle says there’s an urgent need to diversify the regional economy and the port’s business. 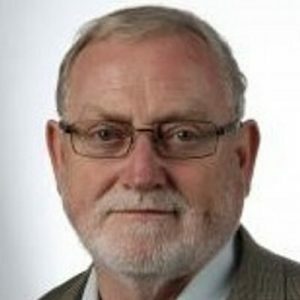 This is just one reason why the Committee of the Newcastle Institute is looking forward to the opportunity for our members and event attendees to engage with Roy Green who, as well as being a recent appointment as the Chair of Newcastle Ports, has a strong history of knowledge and leadership in innovation and entrepreneurship, with his profile available at https://theconversation.com/profiles/roy-green-3866 encapsulating a range of experiences which no doubt see him well placed to provide insight into the future of Newcastle Ports and the region generally. Ever since the closure of the BHP and the work to remediate that site there have been various suggestions about the use of the site and possibilities for diversification. There have, for example, been a number of claims made about arrangements which mitigate against the use of the site for container handling. Newcastle residents would also recall the tactics used to heighten a scare campaign about increased container truck traffic through surrounding suburbs just prior to the 2011 State election. This suggestion, and his willingness to put this front and centre in the public policy domain, means that the opportunity to hear Roy Green speak at the Newcastle Institute and to take part in the Q&A session which will follow should be an engaging and entertaining one. Summing up the value of Roy Green to the next years of the Newcastle Port, “the chief executive of Newcastle Ports, Geoff Crowe, said Green’s experience made him well placed to manage the transition. Everybody is welcome at Newcastle Institute events. We request a $10 donation to assist us in our costs to present our program. Members of the Newcastle Institute are entitled to free entry and, where possible, we ask that prospective attendees use our online registration process to let us know that you’ll be coming. If you’d like to know more about the Newcastle Institute, or to become a Member, or Register for this next event, please use the links at the right. Around 140 people made up the audience to hear Newcastle Institute Patron Ross Gittins open this year’s speaking program at Souths Newcastle on 14 March. Entry to this event for the first time included an online registration and payment option as well as our traditional donation request at the door. Our active committee has this year decided that we will make Annual Memberships available for the Newcastle Institute and so far over fifty people have taken up the opportunity to become members. As well as being entitled to free entry to all events, members also have access to a Members’ online space where additional readings are available and opportunities exist for members to be part of discussions about sessions and planning for the Newcastle Institute. It’s easy to become a member; just look for the big green ‘Join Now’ button on the right and click to begin the process. Coming up next month we’re looking forward to hearing from the new head of the Port of Newcastle; Professor Roy Green. Given some of the recent discussion around the future of the Port of Newcastle and its potential diversification, this should be an excellent event. Are governments and their bureaucracies ensuring that Australia’s businesses give their customers a good deal, or are they just helping businesses live an easier, less competitive life at their customers’ expense? And what do politicians and top bureaucrats get out of it? Don’t miss our first event for 2018 as our Autumn program commences at Souths on Wednesday 14th March. Ross Gittins, who is also a patron of the Newcastle Institute will be speaking from 6pm and everybody is welcome. For 2018 we have made a decision to request a contribution of $10 for attendees. This follows many years of this being only $5 and will assist us to ensure that we can continue to deliver a program of events. To assist our planning, you can now pre-register for our events so that you simply need to be ‘checked in’ at the door. To register for this event, please look for the registration link on the right. For the first time in 2018 we are also offering the opportunity to become a member of the Newcastle Institute. Just click the ‘Join Now’ button. Once they have received notice that their membership has been approved, members are entitled to free entry at our regular events and can also use the Registration button to let us know that they’ll be coming by choosing the ‘Member’ option to register. You can, of course, still simply come along on the night. Whichever way you choose to engage with our events, we look forward to you sharing in what looks like being a very interesting program of events in 2018. Please help us to get the word out regarding our offerings by sharing on social media or forwarding this email to your contacts. You can also share the event notice on Facebook. We look forward to seeing you. 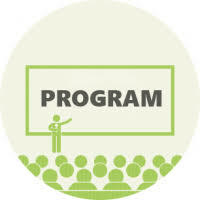 For details of the remaining events in our Autumn program, click here. We’re excited to announce the first three months of our 2018 program knowing that there is plenty to interest everybody across all three programs. We know that you will also enjoy the remaining months to come with plenty more great ideas to share and issues to reflect upon. Free entry to events – Casual attendees at our events would know that for many years we’ve been requesting a $5 donation per person to assist us with our costs in presenting events. At our December planning meeting, we decided to increase the requested amount to $10. So, becoming a member can make sound economic sense! We hope that everybody has had an excellent holiday season and the opportunities to reflect and recharge that this can bring. In between enjoying the same opportunities, members of our planning committee have been busy looking at putting together some very exciting initiatives for 2018 that we think you’ll like. So that you have the chance to pencil in a date in your calendar, we’ll be continuing this year with our regular events scheduled on the second Wednesday of each month. Our first event for the year is planned for Wednesday 14 March. Look out for our speaker announcement soon. So; keep your eye out for some exciting news about the Newcastle Institute and our program for 2018: arriving in your inbox very soon! Use the links to the right to be kept up to date. Our democracy is broken:- Is there a better way? The next Public Forum hosted by The Newcastle Institute will feature the work of the newDemocracy, an independent, non-partisan foundation which works to develop alternative models of citizen-based democracy and restore trust in public decision-making. Senior Supporters of NewDemocracy include a range of ‘wise heads’ from across the political spectrum, including former premiers Geoff Gallop (Labor) and Nick Greiner (Liberal), business leader Jennifer Westacott, prominent journalist Laura Tingle, and the late John Kaye from the Greens. NewDemocracy has promoted the use of ‘Deliberative Democracy’, based on a random sample of the community members coming together to explore the complexities of difficult decisions. This ‘citizen jury’ or ‘senate’ then advises governments on a way forward that is more acceptable to the community than a ‘winner takes all’ outcome that just fosters frustration, anger and bitterness in the community. “We have successfully used this approach with multiple governments and government agencies, in Victoria, Queensland and South Australia” says Walker. “Ironically, we have conducted less work in our home state of NSW, and yet the need for this approach seems clear”. Many in Newcastle would consider our history of poorly resolved divisive political issues as clear evidence of the need for a new approach. NewDemocracy’s website (www.newdemocracy.com.au) provides information about the organisation’s work over the last fifteen years. The Public Forum on October 11th provides an opportunity for the general public to hear more, and discuss how these ideas could be applied in Newcastle. The forum is open to anyone genuinely interested in a better future for our community. We request a $5.00 donation at the door to assist with our event costs. Local public policy think-tank, The Newcastle Institute, is hosting a ‘Conversation’ event with the Honourable Campbell Newman, former Premier of Queensland. The conversation will be facilitated by local journalist and academic Paul Scott. This special event follows the successful July conversation with former NSW Premier, Nathan Rees. 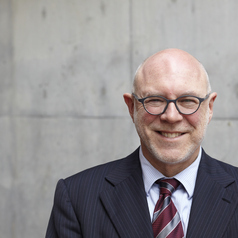 Campell’s unique blend of career phases, from military service to corporate roles to local government, and in state politics, place him well to reflect on the current social and political landscape. Born to parents who were both former Federal ministers, Campbell spent 13 years in the Army and reached rank of Major, before obtaining his MBA from the University of Queensland and embarking on a successful corporate career for 10 years before standing for Lord Mayor of Brisbane in 2004. Following many accomplishments as Lord Mayor of Brisbane, he challenged for the leadership of the Queensland Liberal Party in 2011 and led the LNP to a landslide victory in the 2012 state election. After being narrowly defeated in 2015, he has since left parliament. Campbell will speak about his time in politics, lessons learnt and implications for those interested in, or contemplating, participation in the political process. He will share insights about policy, the media and trust in the political system. He will also reflect on the causes and effects of the increasingly volatile nature of the electorate. The Newcastle Institute spokesperson Robyn Considine said these Conversations series are providing an opportunity to gain unique political insights from those who have been at the heart of the political process. The Institute’s high-quality forums before local, state and federal elections have become a respected tradition in Newcastle in the last decade. There are four groups contesting the election with Councillor and Mayoral candidates. The main attention will be on the Lord Mayoral candidates, who have all agreed to participate. The four Lord Mayoral candidates from Groups contesting the election are Nuatali Nelmes (Labor); David Compton (Liberal); Therese Doyle (Greens); and Kath Elliot (Independent Group). This forum will be modelled on the ABC’s popular Q&A program. The moderator for the night will be journalist Paul Scott from the University’s School of Communication. As with previous events, Dr Bernie Curran shall be Master of Ceremonies. Each candidate will be invited to give a short policy speech, and then respond to questions covering a range of topics about the future of Newcastle. 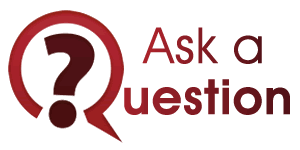 The public is invited to submit questions through the Newcastle Institute’s website. A Panel representing a range of community interests will select questions to ensure there is good balance, and to make sure the forum is fair to all the candidates. Newcastle Institute spokesperson Robyn Considine said “Political meetings in Australia have become stage-managed and scripted – and boring. The Newcastle Institute’s events are now unusual in Australian politics. This meeting will bring together politicians from across the spectrum in a genuine face-to-face contest. We see this as demonstrating yet again that Newcastle is a city of innovation in many facets of public life”. The Event is open to any member of the general public, subject only to requirements for appropriate behaviour during the meeting. The Newcastle Institute requests a $5 donation on entry to assist us with venue hire costs.